I've flown in this plane, I've actually piloted a 152. If you live in a metropolitan area you can probably go outside and look around and spot one in the sky right now. 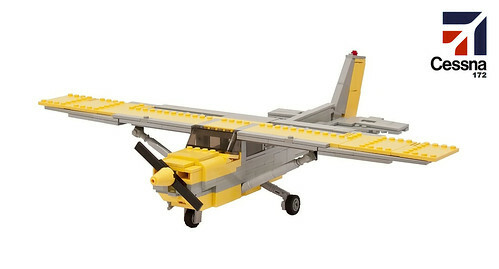 They are ubiquitous, and this MOC by jesbert captures it perfectly.